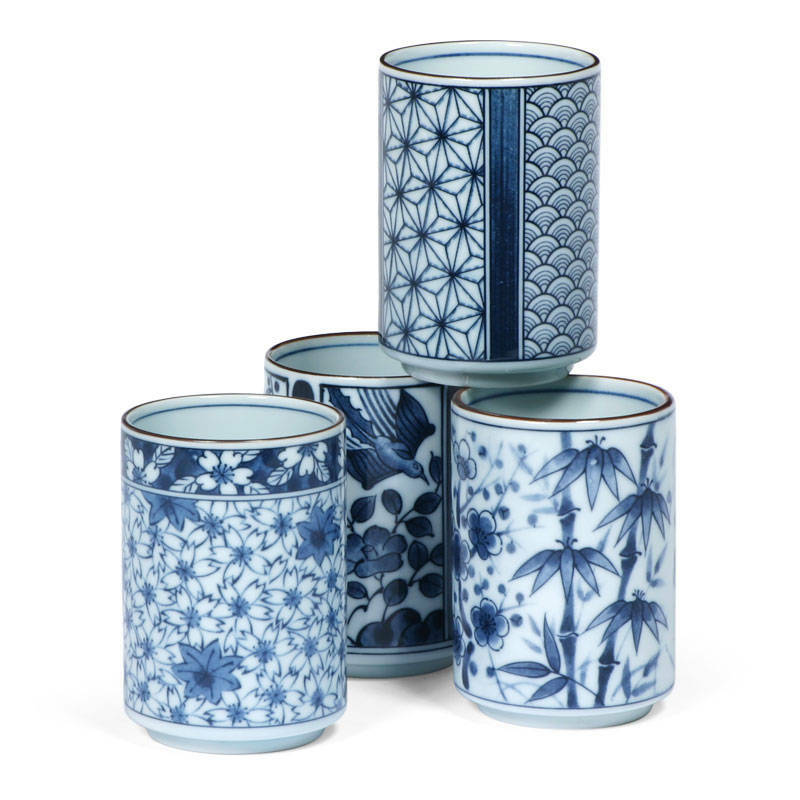 This beautiful Japanese teacup set comes packaged in a black gift box ready for giving. The assorted designs are tied together nicely with its tranquil deep blue color. Set of four cups. 2.5" diameter x 3.75"h; 8 oz. capacity.